IAAPA, the global association for the attractions industry, looks forward to a full year of dynamic worldwide and regional events for attractions industry professionals. Through networking events and premier Expos, IAAPA offers members of the attractions industry opportunities around the world to make new connections, learn what's new, and discover trends and solutions to positively impact their companies' bottom line. Interested attendees are encouraged to save the dates and visit www.IAAPA.org for details and registration information. The listed events are confirmed as of press time. New and additional events may be added throughout the course of the year. Information can be found at www.IAAPA.org. *As part of IAAPA's new brand evolution, the association has renamed its three global Expos IAAPA Expo Asia, IAAPA Expo Europe, and IAAPA Expo. 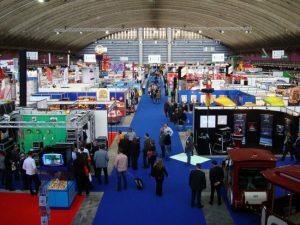 Formally, IAAPA's global Expos were known as Asian Attractions Expo, Euro Attractions Show, and IAAPA Attractions Expo respectively. The association's global headquarters is in Orlando, Florida, US. IAAPA also maintains offices in Brussels, Belgium; Hong Kong, China; Shanghai, China; Mexico City, Mexico; and Alexandria, Virginia, US.